5-MTHF, the most biologically active form of the B-vitamin, folate as Quatrefolic® (5-MTHF) for optimal utilization. 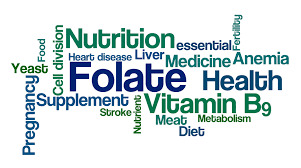 This form of folate supplementation that targets individuals with genetic enzyme deficiencies, supporting the conversion of folic acid in foods or supplements into 5 methyl-tetrahydrofolate. Directions: Take one to two capsules daily, or as directed by your health care provider.